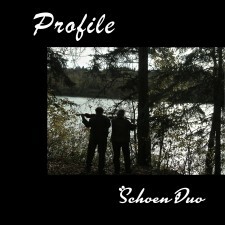 The Schoen Duo Studio program offers a seamless course of musical study from infancy through to pre-professional study. Students may enter the program at a variety of places in this progression depending on age and previous experience. Suzuki Early Childhood Education is a wonderful program carefully designed for babies and toddlers. The classes create an environment where children can learn foundational musical skills as easily and naturally as they learn to talk. Parents learn to observe their children carefully to understand each child’s unique learning style. Learn more …. A student can start to attend the Creative Ensemble Lab 1 before starting lessons on a specific instrument and continue in the class though the first years of instrument study. In this class, children develop: ensemble skills though group performance of set repertoire, creativity and teamwork through musical improvisation, and music reading and writing skills. Learn more …. Instrument lessons can begin after student families have taken the Every Child Can! class, joined the Creative Ensemble lab 1, and observed some individual lessons. Beginners can start at any age with an individualized course of study. Prospective students are welcome to observe lessons on flute, violin, recorder, and viola as they choose the instrument upon which to begin. Contact Kathleen Schoen for more information about flute and recorder lessons, or Thomas Schoen for more information about violin and viola lessons. Creative Ensemble Lab 2 is for students who are reading music fluently. We continue to improvise ensemble pieces, but also use our increasing knowledge of music theory to preserve our compositions with musical notation, as well as perform chamber music reading from more complex scores with multiple parts. The activities in this class can lead in to Royal Conservatory of Music theory exams (optional). Learn more ….